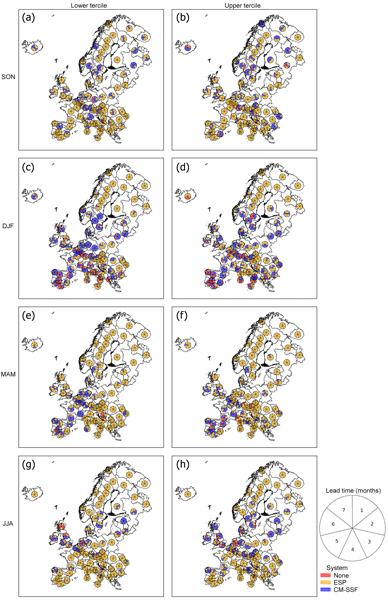 HESS - Skilful seasonal forecasts of streamflow over Europe? Abstract. This paper considers whether there is any added value in using seasonal climate forecasts instead of historical meteorological observations for forecasting streamflow on seasonal timescales over Europe. A Europe-wide analysis of the skill of the newly operational EFAS (European Flood Awareness System) seasonal streamflow forecasts (produced by forcing the Lisflood model with the ECMWF System 4 seasonal climate forecasts), benchmarked against the ensemble streamflow prediction (ESP) forecasting approach (produced by forcing the Lisflood model with historical meteorological observations), is undertaken. The results suggest that, on average, the System 4 seasonal climate forecasts improve the streamflow predictability over historical meteorological observations for the first month of lead time only (in terms of hindcast accuracy, sharpness and overall performance). However, the predictability varies in space and time and is greater in winter and autumn. Parts of Europe additionally exhibit a longer predictability, up to 7 months of lead time, for certain months within a season. In terms of hindcast reliability, the EFAS seasonal streamflow hindcasts are on average less skilful than the ESP for all lead times. The results also highlight the potential usefulness of the EFAS seasonal streamflow forecasts for decision-making (measured in terms of the hindcast discrimination for the lower and upper terciles of the simulated streamflow). 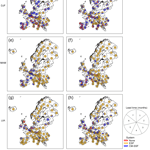 Although the ESP is the most potentially useful forecasting approach in Europe, the EFAS seasonal streamflow forecasts appear more potentially useful than the ESP in some regions and for certain seasons, especially in winter for almost 40% of Europe. Patterns in the EFAS seasonal streamflow hindcast skill are however not mirrored in the System 4 seasonal climate hindcasts, hinting at the need for a better understanding of the link between hydrological and meteorological variables on seasonal timescales, with the aim of improving climate-model-based seasonal streamflow forecasting. How to cite: Arnal, L., Cloke, H. L., Stephens, E., Wetterhall, F., Prudhomme, C., Neumann, J., Krzeminski, B., and Pappenberger, F.: Skilful seasonal forecasts of streamflow over Europe?, Hydrol. Earth Syst. Sci., 22, 2057-2072, https://doi.org/10.5194/hess-22-2057-2018, 2018.